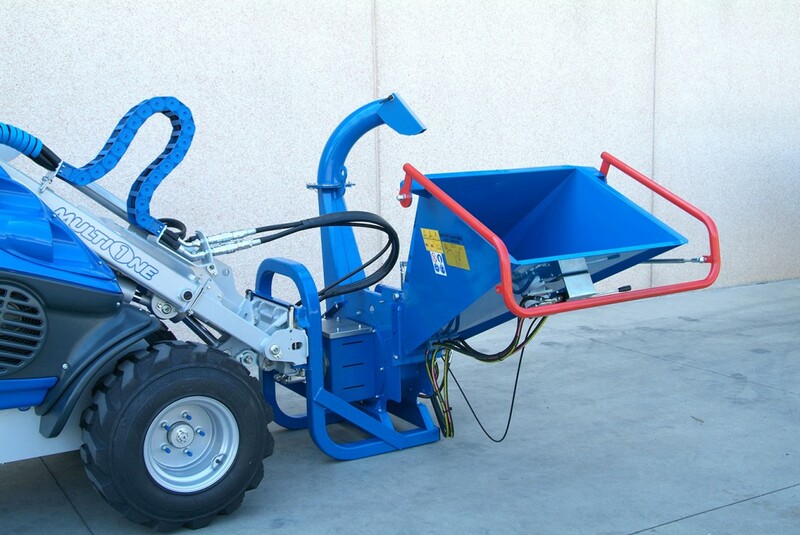 The hydraulically powered chipper/shredder is a powerful tool for quickly reducing a pile of brush, garden waste, and tree limbs to reusable shredded mulch. 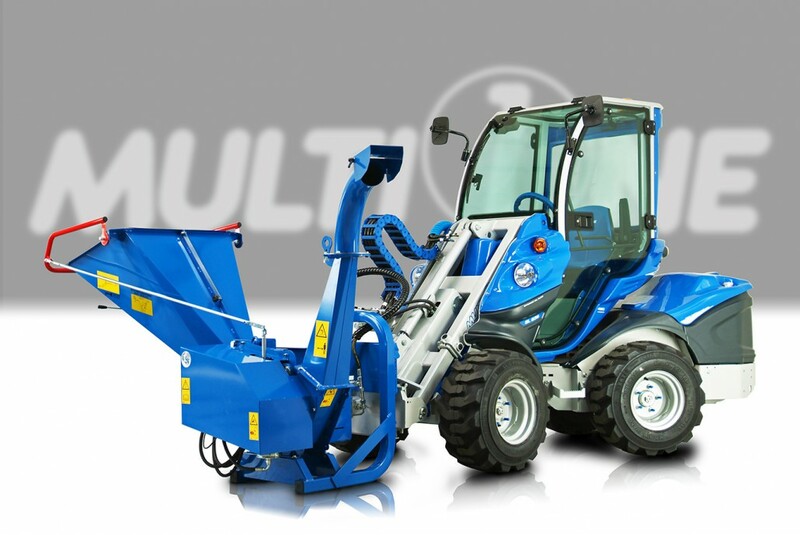 Combined with the MultiOne, this chipper/shredder can work in areas not reachable with a traditional towed chipper. The machines design incorporates a feed roller that pulls the branches up to 90 mm (3.5 in) diameter into the chipper section in a controlled, safe speed. The chips are then processed by the shredder section, reducing the wood chips to mulch. The operator remains safely out of the way during the chipping/shredding process.